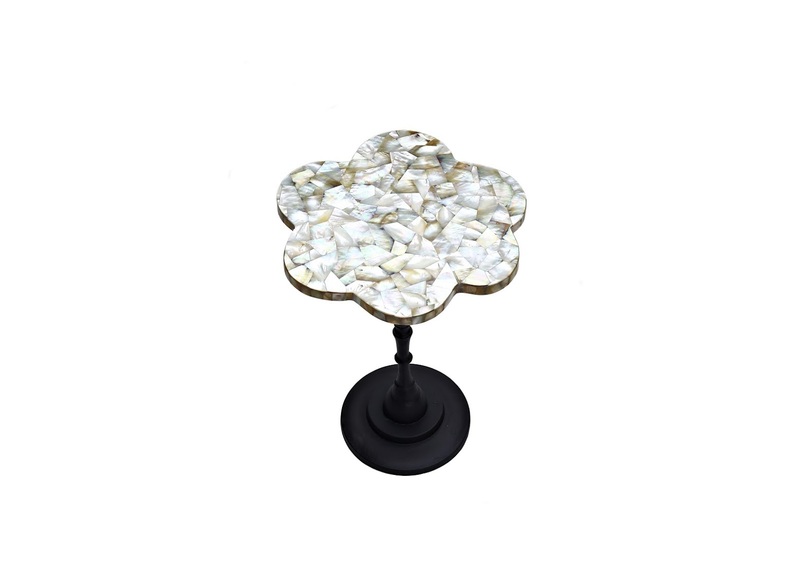 Description: This elegant table is made of aluminium and mother of pearl.The table top is in a shape of a flower which brings elegance and style. 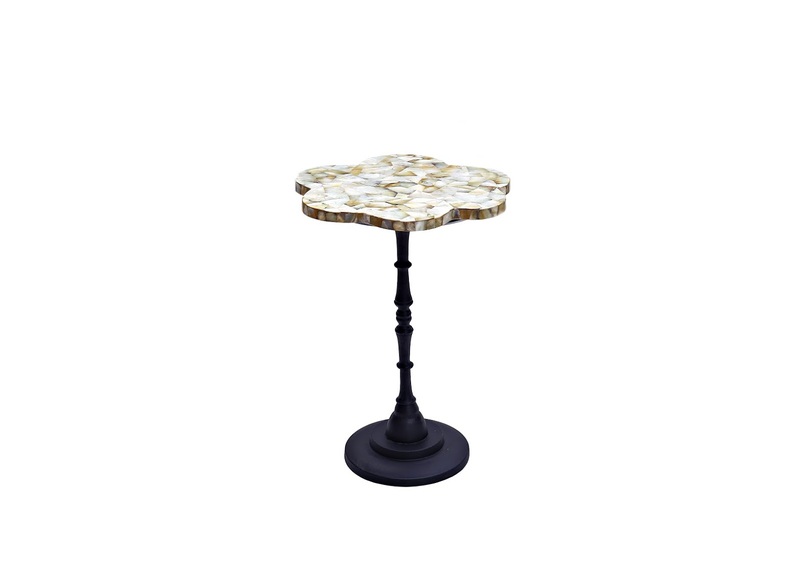 Perfectly serves the purpose of a being a side or an end table. It is as functional as decorative. Take this elegance home and enjoy the many benefits it brings home.